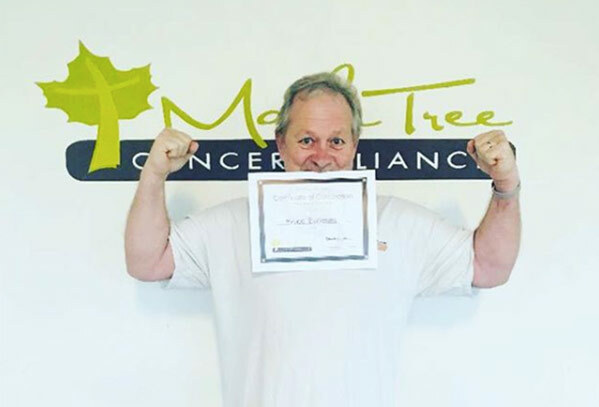 Please join us in congratulating Bruce on completing Phase One of our Cancer Exercise Rehabilitation program! Bruce made huge strides during this phase, increasing his muscular strength (+20.73%), cardiovascular endurance (+25.69%), muscular endurance (+147.06%), AND flexibility (+11.54%)! We are so proud of the progress that you’ve made Bruce, and will continue cheering you on to future success! Congratulations to these amazing ladies who just completed Phase 1 and 2 of Cancer Exercise Rehabilitation. Patricia (left) completed Phase 2 of our Cancer Exercise Rehabilitation program and saw a (+43.55%) increase in her cardiorespiratory fitness, a (+66.67%) increase in her muscular strength! 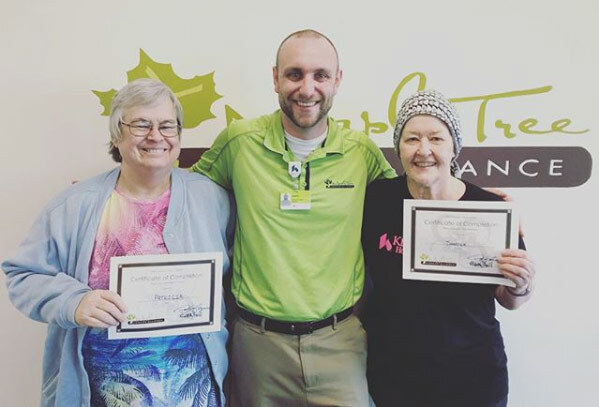 Sandie (right) completed Phase 1 of our Cancer Exercise Rehabilitation program and saw a (-11.6%) decrease in her body fat, an increase of (+11.02) in her muscular strength, a (+223%) increase in her muscular endurance, and a phenomenal increase of (+366.37%) increase in her flexibility!! Congratulations Pamela on graduating Cancer Exercise Rehabilitation! She fought hard during her 12-weeks and the results speak for itself! We have seen great changes in her energy, enthusiasm and always has a smile on her face during her training sessions. 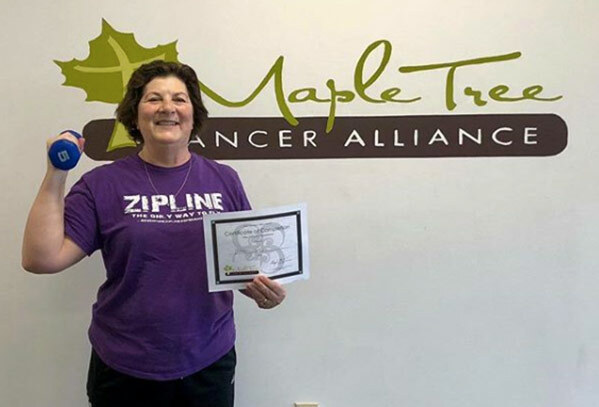 During her training at Maple Tree Cancer Alliance, she has seen a (-7%) drop in body fat, a (+23.65%) increase in her cardiorespiratory endurance, a (+54.06%) increase in her muscular strength, a (+25.08%) increase in her flexibility, and an amazing (+83.43%) increase in her muscular endurance! Congratulations Debra! 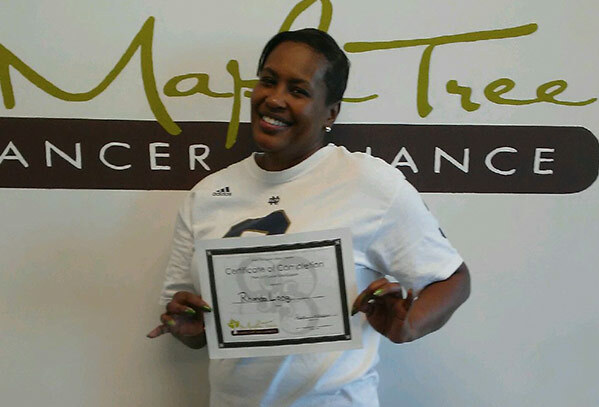 You fought cancer back and completed Maple Tree Cancer Alliance’s Cancer Exercise Rehabilitation program! 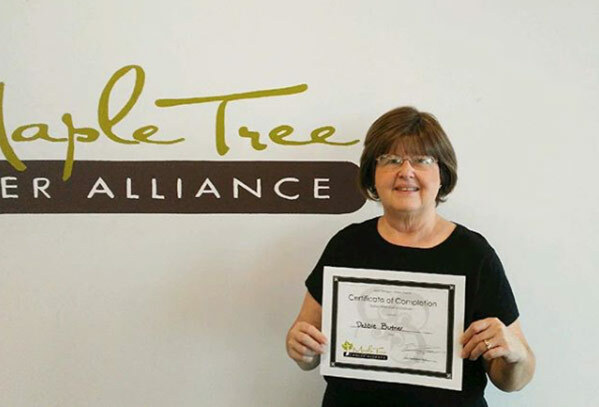 Debra saw during her time at Maple Tree a (-9%) decrease in her body fat, a (+12.79%) increase in her cardiovascular endurance, a (+42.76%) increase in her muscular endurance, a (+12%) increase in her muscular strength, a (+13%) increase in her flexibility, and an amazing decrease of (-9%) in her body mass index! Susan saw amazing changes since beginning at Maple Tree such as a drop in body fat by (-15%), an increase of her cardiorespiratory endurance by (+16.02%), an astonishing increase in her muscular endurance by (+259.54%), a (+15%) increase in her muscular strength and an incredible (+89%) increase in her flexibility! Phase 2 involves patients who have completed chemotherapy or radiation, and are working towards remission and apparently healthy status. Rhonda saw in 12 weeks a reduction of body fat by (-2.4%), an increase in her cardiovascular endurance by (+25.89%), a (+17.45%) in her muscular strength, and a (+5.41%) increase in her flexibility! We see such great enthusiasm and energy when she is here and it definitely reflects in her progress! Rhonda reports a boost in both her endurance and stamina, being able to get through more activities while taking shorter rest breaks, amazing! 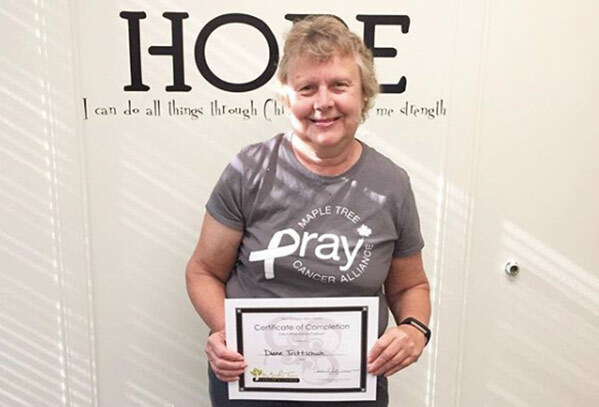 Congratulations Debra on completing phase 2 of Cancer Exercise Rehabilitation. Her hard work and dedication throughout these 12 weeks in phase 2 have led to impressive results! 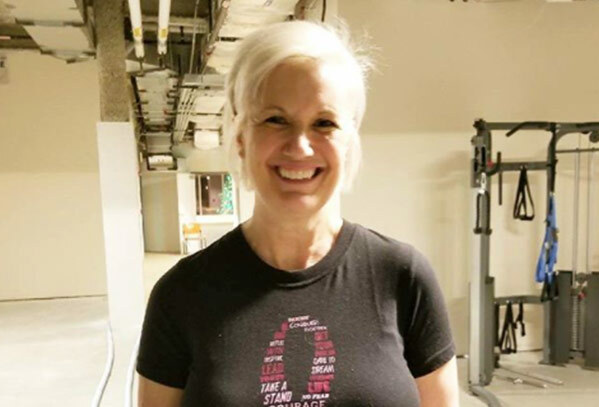 During 12 weeks of guided exercise instruction, Debra saw a (-2%) reduction in body fat, a (+9.21%) increase in her cardiorespiratory endurance and a (+21.43%) increase in her flexibility! 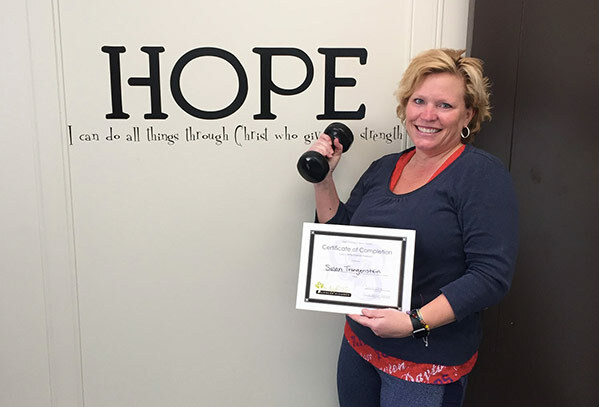 Please help us congratulate Diane on completing Cancer Exercise Rehabilitation! You fought hard and are proof that exercise is medicine, just look at these amazing results throughout your time with Maple Tree! A loss of -7.4% body fat, a 46.38% increase in her cardiovascular fitness, an incredible 112.78% increase in her muscular endurance, and a stellar 136.65% increase in her flexibility! 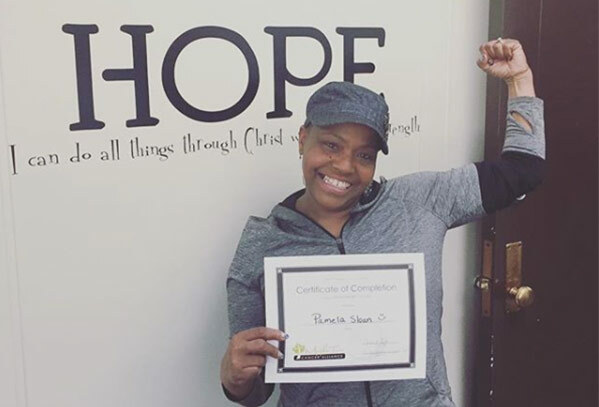 Beverly completed Phase 2 of her exercise program here at Maple Tree which involves patients who have completed chemotherapy and/or radiation, working to become healthier, and improve their quality of life! Beverly saw amazing changes during her 12-week exercise program at Maple Tree! This includes a (-2%) reduction in her body fat, a (+1.56%) increase in her muscular endurance, a (+34.33%) increase in her muscular strength and a (+37.93%) increase her flexibility!!! Such amazing progress Beverly!! 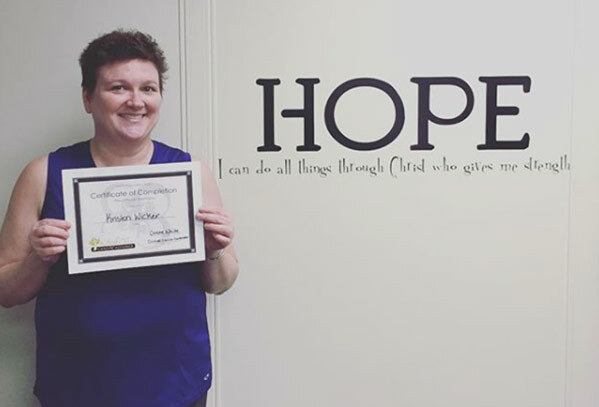 During these 12 weeks, Kristen saw a (-3%) decrease in body fat, a (+93.33%) in her muscular strength, a (+40.33%) increase in her cardiovascular fitness, and a (+3.57%) increase in her flexibility!